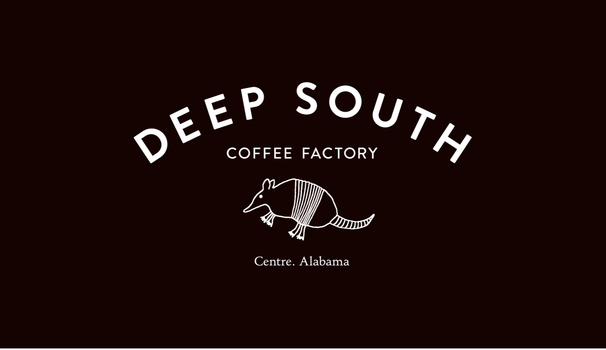 Let everyone know that you love Deep South Coffee Factory coffee! 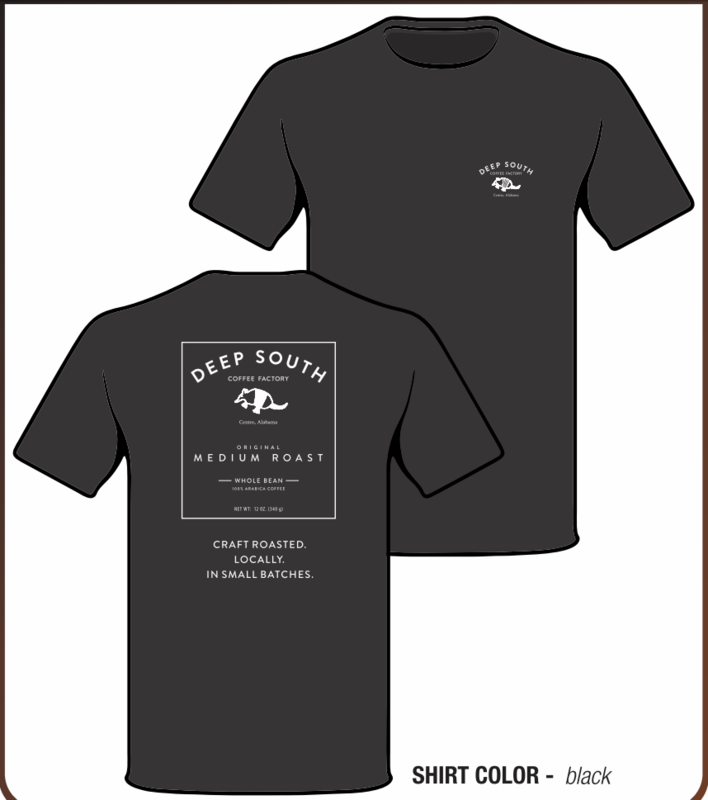 Our t-shirts are printed locally here in Centre, Alabama. The front has our logo, and the back displays the design art from our Original Medium Roast coffee, followed by our motto "Craft Roasted. 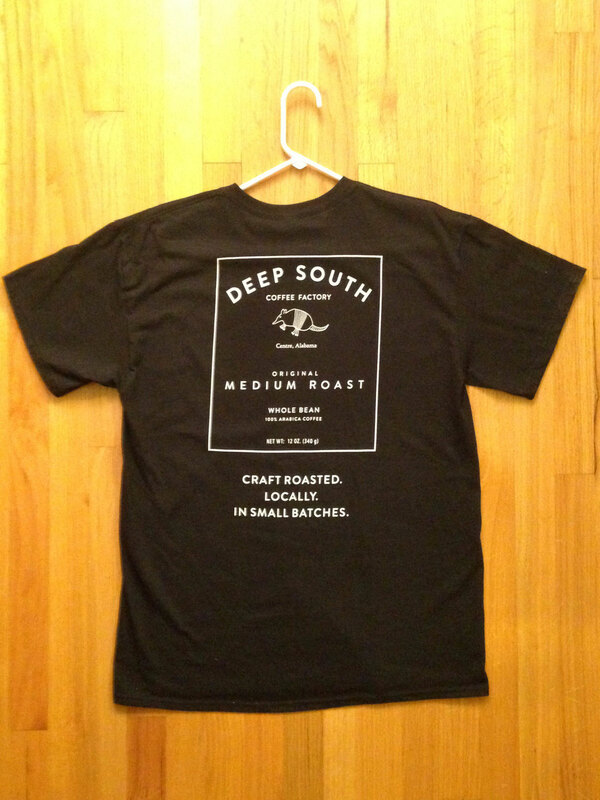 Locally. In Small Batches." 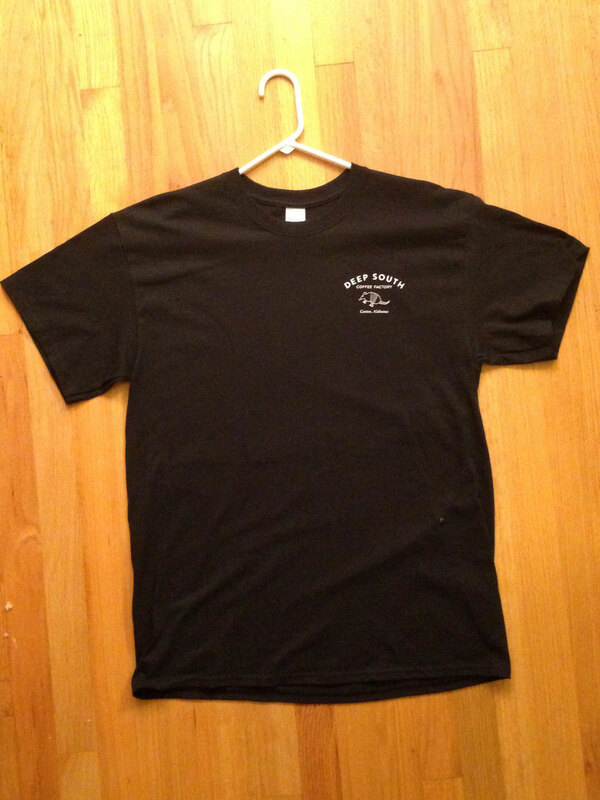 As a special thank you to our loyal customers, t-shirts ship for free with any coffee order.